Bring your youth on the ultimate urban mission trip to Kansas City! Spread the Word of God, and the love of Jesus on a week-long or weekend trip with eternal significance. Experience new cultures within the USA, work with the homeless and those in need, discover your ability to serve others outside your comfort zone, discover God’s call for your life, and have life-changing impact within local communities. For over 20 years Christ For the City International has been sending people into the world to transform lives and cities for the Glory of God. The Urban Plunge sends over 1,500 youth every year into 9 different cities within the United States. We arrange all the details, partnering each group with 6-10 different ministries, allowing students to discover how God is calling them. In addition to planning the schedule, we also take care of the food, accommodation, and photos for your trip at a very affordable price. 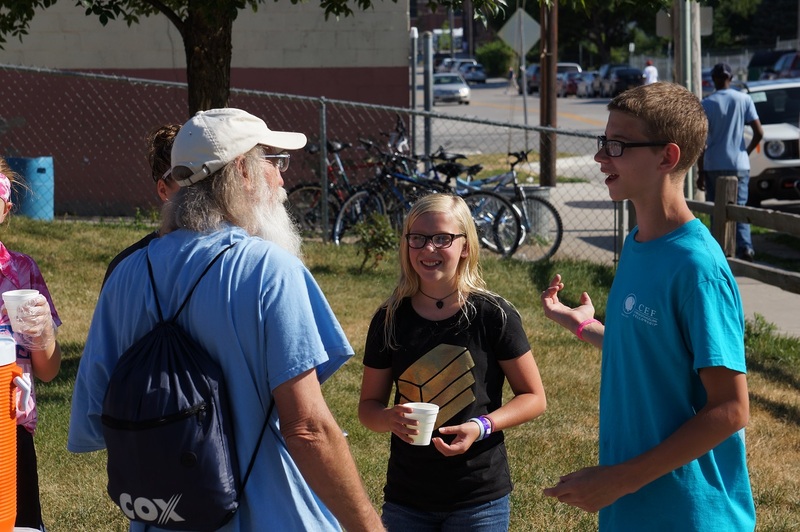 Each Urban Plunge team is accompanied by a trained facilitator, encouraging and debriefing your youth in how to live lives of purpose, challenge and incredible fulfillment for the Lord. Experience genuine encounters with others, and God! Follow your calling and meet the need on an Urban Plunge, it will be more exciting, challenging and rewarding than you could ever dare to imagine.